VW Up is a surprisingly spacious car for its size! The smallest car in the SADcars fleet combines budget traveling with quality and comfort. This car is perfect for those Golden Circle and Blue Lagoon excursions from your hotel in Reykjavik. An excellent choice for all your spring, summer and fall trips around the country but if you plan to go out in the country in winter, we suggest a 4x4 car. All the cars in this car group run on gasoline. The average fuel consumption with cars in this group is 5-6 liters/100km. Please note that this car is not a 4x4 car and is not suitable for driving on the F roads in the highlands of Iceland. VW Up is a small car but perfect for up to 4 people. It consumes very little because it is light, and for the same reason it is easy to park. I had some trouble putting it into reverse but maybe I just do not know the trick. 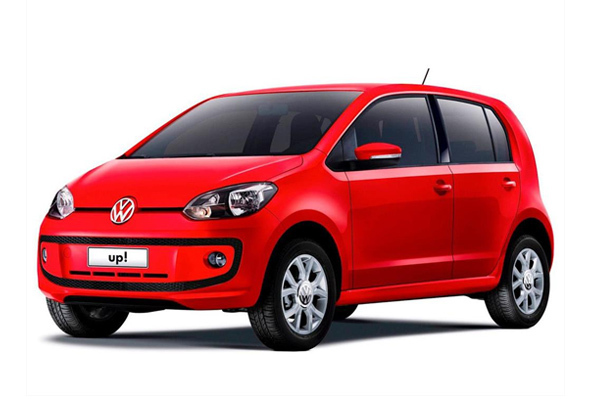 VW Up is very fast, easy to steer, and it is also comfortable. Clean and reliable - was a Hyundai I10 and ideal for what we needed. It was just fine, and we enjoyed to drive this car, and to take SADCAR .